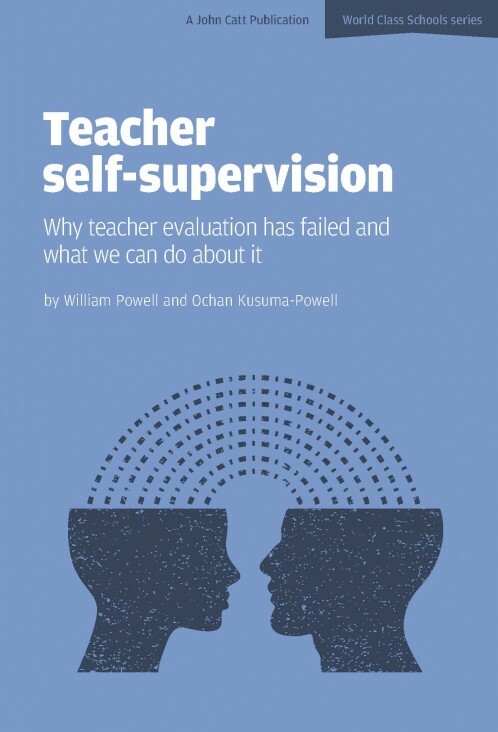 Does the traditional teacher evaluation system improve student learning? Has it failed? Ask 1000 teachers how many of them are becoming more professional, effective or fulfilled through the use of the present system and probably only a few will say “yes”. We have a failed system and we need to change it. Over the last 30 years, Bill Powell and Ochan Kusuma-Powell have worked with a large number of teachers and school leaders in over 50 countries worldwide. In this book they propose a simple (but not simplistic), coherent, common sense alternative that has its roots in what they know about student and adult learning. William Powell has served as an international school educator for the past 30 years in the United States, Saudi Arabia, Tanzania, Indonesia, and Malaysia. From 1991 to 1999, he served as the Chief Executive Officer of the International School of Tanganyika in Dar es Salaam, Tanzania; and from 2000–2006 as Head of the International School of Kuala Lumpur. Ochan Kusuma-Powell received her doctorate from Columbia University and has developed and implemented inclusive special education programs in the USA, Indonesia, Malaysia and Tanzania. She is an associate trainer for the Center for Cognitive Coaching and Adaptive Schools. Bill and Ochan are the co-authors of Count Me In! Developing Inclusive International Schools (2000), Making the Difference: Differentiation in International Schools (2007), Becoming an Emotionally Intelligent Teacher (2010) and How to teach now: Five Keys to Personalized Learning in the Global Classroom (2011). Bill and Ochan are currently working on a project, The Next Frontier: Inclusion to support the inclusion of special needs children in international schools. They are focusing their attention on teacher professional development, school leadership and governance training and serve as consultants for Education Across Frontiers (Bpowell@eduxfrontiers.org). When they are are not facilitating teacher workshops or speaking at conferences, Bill and Ochan can be found in the French Pyrenees where they fight (together with a handful of sheep) an annual battle with the European bramble.